Is Jeptha Robertson Gay ? Duck Dynasty fame star, Jep Robertson is a popular American reality star, cameraman, editor and businessman. He is best known for filming and editing the family's hunting exploits in the A&E hit series, Duck Dynasty. The show portrayed the lives of the Robertson family known for their family business, Duck Commander. Jep Robertson was born as Jules Jeptha Robertson on May 28, 1978, in Bernice, Louisiana, the United States to Phil Robertson and Marsha Kay Robertson. Both of his parents are reality star known for their appearances on the A&E reality series Duck Dynasty. 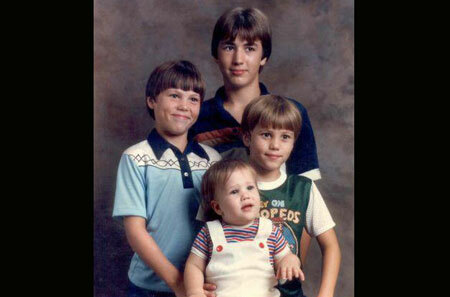 Robertson has three elder brothers, Alan Robertson, Willie Robertson, and Jase Robertson. He is a devoted Christian. At the age of 6, he was molested by a senior girl from his school while traveling on the bus. The incident left him to skip school feigning illness. 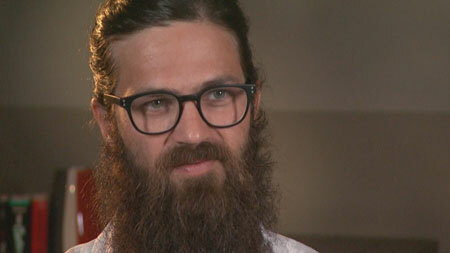 Jep Robertson rose to fame after appearing in the A&E hit reality series, Duck Dynasty. The show portrayed the lives of the Robertson family, who know for their family-operated business, Duck Commander. It first hit the TV screen on March 2012 and has broken several rating records on A&E and cable television as a whole. The show aired its last episode in March 2017 after successfully presented 11 seasons. Robertson films and edits DVDs of the Robertson family's duck hunts. He also worked at their family business, Duck Commander. In 2014, he and his wife, Jessica Robertson started new Calvary clothing line along with Australian designers Rick Caballo and Melissa Core. The clothing line included wide ranges of Jewelry, beanies, and T-shirts which also sold from Duck Commander store and the Duck and Dressing retail store. In 2016, Robertson and his wife starred in their own spin-off show, Jep & Jessica: Growing the Dynasty. The show has over 2 million viewers. He co-author book with his wife, The Good, the Bad, and the Grace of God: What Honesty and Pain Taught Us About Faith, Family, and Forgiveness where they talked about their negative experiences and how they overcome with the help of religion. The book was commercially successful and received a positive review from critics and audiences. Jep Robertson has an estimated net worth of $8 million. He earned a good sum of the amount from editing and filming. He owned clothing line, Calvary which market value is in million dollars. Robertson was the part of A&E hit reality show, Duck Dynasty which earned $80 million in advertising sales for the first nine months of 2013, and merchandise has generated another $400 million in revenue. In 2017, Robertson sold his 1.5 acre Louisiana home in $1.5 million which has six bedrooms and five bathrooms. Jep Robertson is happily married to his longterm girlfriend, Jessica Pamela Strickland. The duo first met in March 2001 with the help of their mutual hair stylist. Since then they started meeting often and in April Jep baptized Jessica. The couple officially started dating in June and exchanged a vow on October 2001. Their wedding was an intimate yet lavishing ceremony presented by their closed friends and family members. The duo is proud parents of five children, three daughters, Lily Robertson, Merritt Robertson, Priscilla Robertson and two sons, River Robertson including one adopted son, Jules Augustus a.k.a. "Gus". Jep and his wife adopted Gus in January 2017 and he announced the news via Twitter. Robertson was addicted to drugs when he was 18 by the influence of his friends. Fortunately, his family was there to stood beside him and his father instead of admonishing him for going astray gently puts two situations, either leave drugs or go on his own way. The incident changed his life and made him “prodigal son”. Check out the video of Jep Robertson where he reveals childhood sexual abuse claims. Jessica Pamela Strickland aka Jessica Robertson is best known for portraying the Kate Douglas in 1995 film, The Big Green. 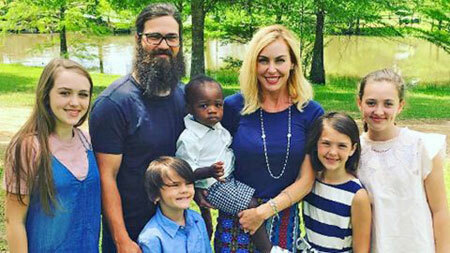 Lily Robertson is the first child of Jep Robertson and Jessica Robertson. She has four siblings including one adopted brother. Merritt Robertson is the second child of Jep Robertson and Jessica Robertson. She has four siblings including one adopted brother. Lily Robertson is the third child of Jep Robertson and Jessica Robertson. She has four siblings including one adopted brother. River Robertson is the fourth child of Jep Robertson and Jessica Robertson. She has four siblings including one adopted brother. Jules Augustus is the adopted son of Jep Robertson and Jessica Robertson. He has four siblings, three sisters, and one brother.